What to do in Cork? 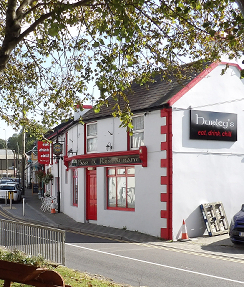 | Places to visit near Kinsale Hurleys Bar - What's On? Hurley's show all live matches from GAA to Rugby, so no reason to miss your favourites. We are now proud to announce we are an Accredited Pub with Bord Failte Ireland. Hurley's Bar, Ballinspittle, Co. Cork, Ireland.